Almost every project I have been involved with has both objectives to some extent, however, along the way we quite often lose sight (no pun intended) of what the designers and project managers are actually trying to achieve with each viewpoint considered. Often project managers believe or want to believe that there is some magical point of view that can accomplish both objectives without bringing in the inherent conflict. If our goal is to prove that a project can’t be seen or has minimal visual impact for a typical driver or pedestrian along the route, then obviously, that point of view would be a poor choice for trying to explain the layout of the proposed design. On the other hand, while a well framed aerial perspective may instantly provide clarity as to how the project will actually work, one must remember that the view in question is not at all representative of what the vast majority of the public would actually be able to see. 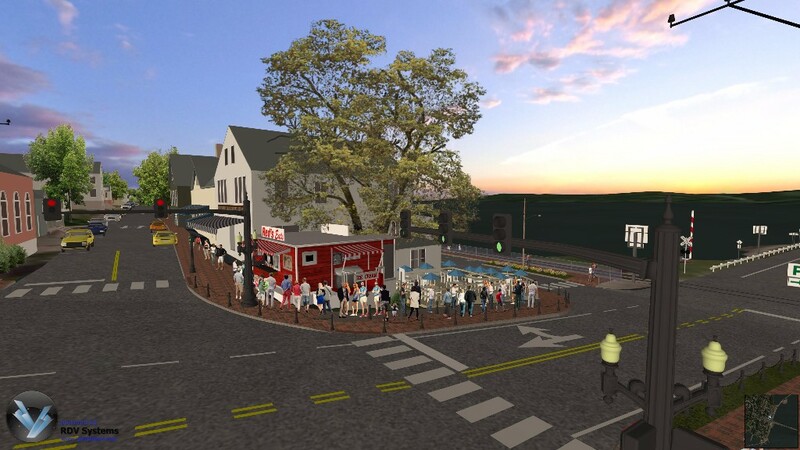 To appease the concerns of all parties involved and get projects green-lighted, we find a 3D interactive model approach provides an ideal solution for both objectives. 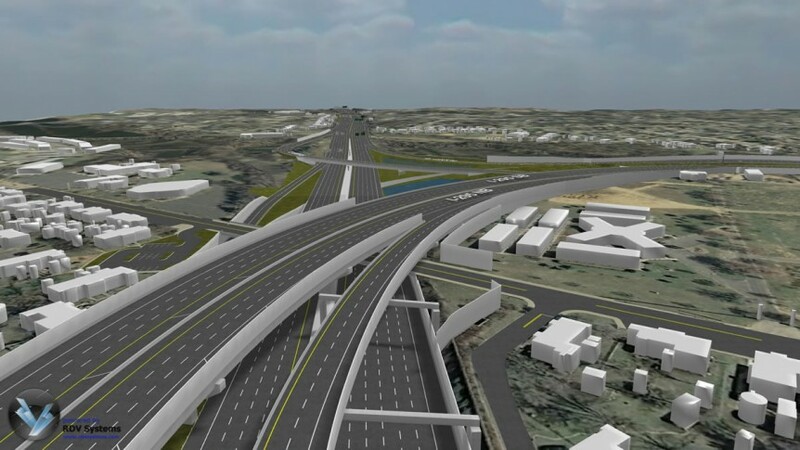 Using a flyover mode, project managers can interactively manipulate a viewpoint and provide a very convincing overview of the area in question from multiple perspectives that lets their audiences understand the design and its relationship to the surrounding environment. Additionally, a panoramic view when set to street level enables the users to land on any point in the design model and experience the proposed design conditions in an intuitive immersive view as if they were actually standing on the project site. Switching to a treetops level at the exact same point then offers a broader view of the immediate area surrounding the point in question while providing a better understanding of where they were ‘standing’ in the previous viewpoint. This functionality and its benefits can make or break a project. In practice consider the following scenario: The design team has gone through many refinements of a particular bridge crossing over a major highway with four lanes in each direction. The bridge consists of two lanes for vehicular traffic, bike lanes and a portion for pedestrians and intermingled landscaping and street furniture. The goal of the design team is to show the public how the planned alternative has placed emphasis on improving the pedestrians experience by sheltering them from the eight lanes of highway traffic below. A simple view from a typical pedestrian’s eye-height indeed may show only the landscaping and street furniture buffered by the bike lanes while blocking the view to the highway below. The problem is that one single vantage point on its own with little or nothing to see is not particularly convincing or persuasive, however, supplemented with a treetop and flyover view of the entire bridge in relation to the highway completes the picture. Everyone can thoroughly understand just how much consideration and great work the planners have done in support of the proposed design. To be effective, design visualization must meet the objectives of the design team which are typically to refine, complete and gain approval for the design in the shortest amount of time as possible. There is no question today that the visual impact of new infrastructure projects is one of the main concerns and often leads to delays in the design and approval process. When deciding to use visualization as part of the design process thought should be given as to what will actually be beneficial in achieving the goals of the design team. It’s okay to show the community a picture of virtually nothing if in fact that is what they will see when the project is complete, you just have to be thoughtful in the way you show them what they can’t see.